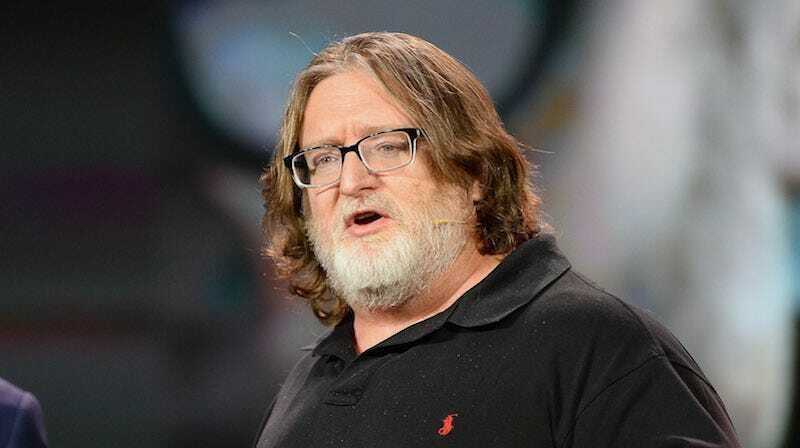 Gabe Newell Is Worth More Than Donald Trump--Sad! Donald Trump? Let me tell you about Donald Trump. Did you know that Donald Trump only has ONE type of hat? Sad! No wonder Gabe Newell beat him on this week’s Forbes billionaire list. As of this week, the lovable Valve CEO is ranked at #134, with $4.1 billion, beating out the likes of Trump (#156), Steven Spielberg (also #156), and Oprah Winfrey (#239). Turns out not making video games is pretty good for your bank account. Newell is doing an AMA on Reddit today at 6pm Eastern in case you want to ask him what it’s like to have more money than our 45th and final president.